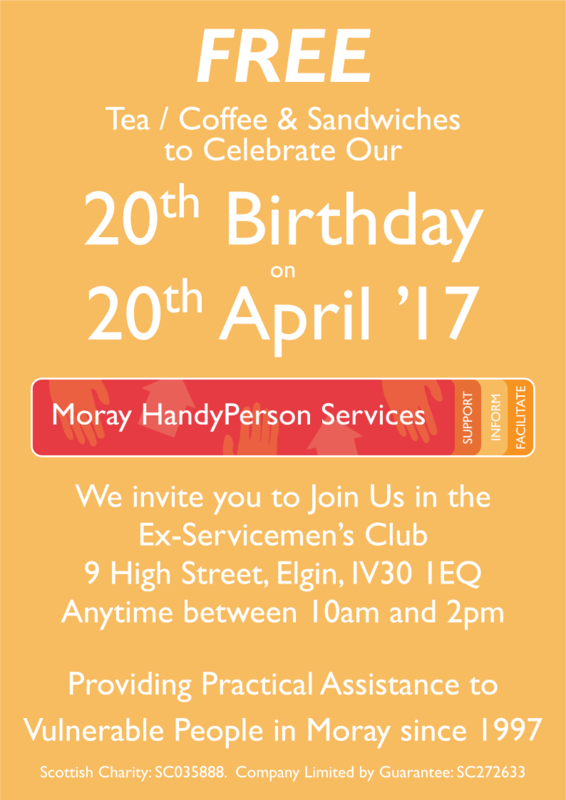 Since 1997, we have been providing practical assistance to those who most need it in Moray. The elderly, the disabled, the disadvantaged. For those people who have no friends or family that can help them. Those who cannot get a tradesman to come out to them because the job is too small. 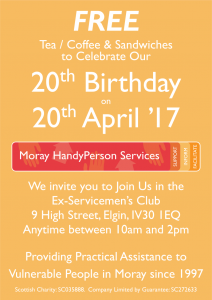 The Moray HandyPerson Service fills that gap. We are here to help. See News Page for latest! The bearer of one of these vouchers is entitled to one free toenail trimming to the value of £15 provided that they purchase one pair of nail clippers (cost £15) at the birthday celebration on the 20th April 2017. The Toenail Trimming voucher has no monetry equivalent value. The Toenail Trimming voucher expires on the 20th July 2017. There is no refund available on the nail clippers purchased even if the voucher is not used. A home visit is possible for an additional charge. Small Appliance Testing is often referred to as PAT or Portable Appliance Testing. The voucher covers only small, domestic, electrical appliances used in a domestic home for personal use. 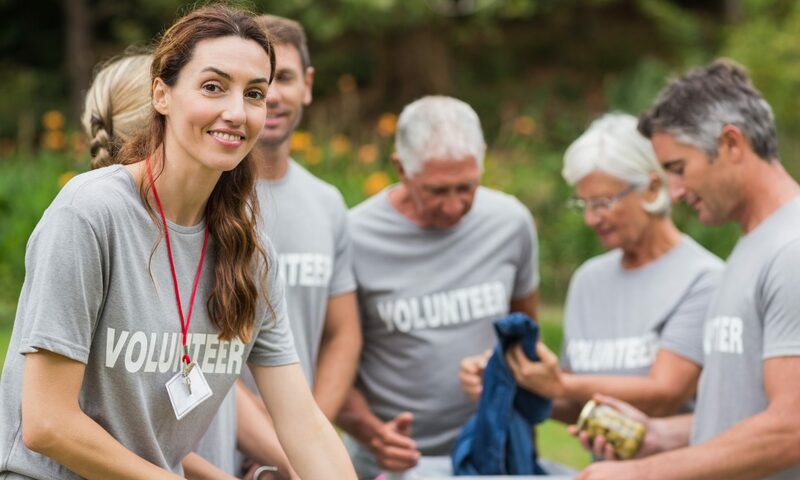 Businesses, such as B&Bs, are not eligible for the voucher but may be eligible to receive the service from Moray HandyPerson Services for a fee. The bearer of one of these vouchers is entitled to have their appliances, as defined above, up to the value of £20, tested. The value includes any travel costs incurred. A full scale of charges is available on the PAT page. The voucher can be supplemented with additional payment to cover additional items. However, there is no refund should the number of items and travel expenses not reach the voucher value. The Small Appliance Testing voucher has no monetry equivalent value. The Small Appliance Testing voucher expires on the 20th December 2017. These Terms and Conditions apply from 12th April 2017 and apply only to this Birthday Celebration offer.